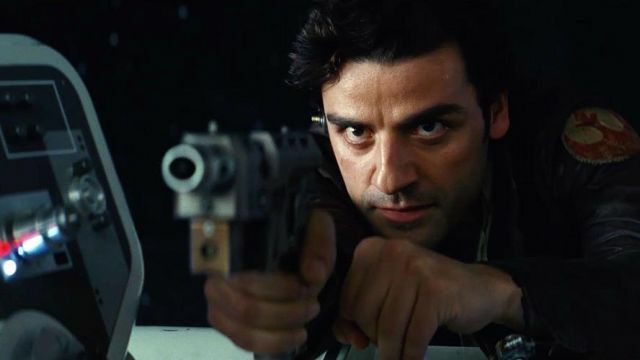 Oscar Isaac is adding another beloved sci-fi franchise to his repertoire. According to The Hollywood Reporter, Isaac has begun “early negotiations” to join Denis Villeneuve’s Dune remake. He’ll play Duke Leto Atreides, father of Timothée Chalamet’s Paul Atreides. In Frank Herbert’s original Dune novel, Leto initially ruled on the ocean planet Caladan until Emperor Shaddam IV ordered him and his family to relocate to the desert world of Arrakis, the only known source of the valuable spice melange. Leto arrived with his concubine, Lady Jessica, and his son, Paul. Jürgen Prochnow played Leto in David Lynch’s adaptation of Dune in 1984. Nearly two decades later, Syfy enlisted William Hurt to play the role in the network’s 2000 miniseries. Leto also appeared as the central character in the Prelude to Dune prequel series, published from 1999 to 2001. Frank’s son, Brian Herbert, co-wrote the prequel novels with Kevin J. Anderson. Isaac will once again star as Poe Dameron in December’s Star Wars: Episode IX. Most recently, Isaac lent his voice to Spider-Man: Into the Spider-Verse as Miguel O’Hara / Spider-Man 2099. Isaac’s Miguel appeared in a post-credits scene and he will most likely get an expanded role in the film’s inevitable sequel. Isaac will also star in the upcoming Addams Family animated feature. Sony will release that movie later this year. What do you make of Oscar Isaac joining the cast of Dune? Share your thoughts in the comment section below!